FitnessMAD™ - Varimassage Foamroller - Diameter 12 cm - Lengte 30,5 cm - Zwart - Body Works fitnessgroothandel met 1800 Sportmateriaal, Fitnessproducten en gezondheidsproducten uit voorraad. 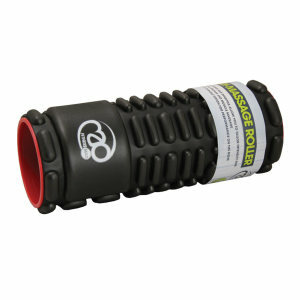 The ultimate roller for myofascial release and to help massage and release tight muscles. The Vari-Massage Foam oller features a range of different patterns so you can vary the intensity of the massage to suit your individual needs.